One evening a couple of years ago I came home exhausted. It had been a full day of interning, college classes and study hours. This, mixed in with some family issues, grief and anxiety made me almost physically crumble on the bedroom floor. My whole body ached. Nothing would make it better. It was then that I realized, almost too late, that I needed a break – but not a physical one, a mental one. I was emotionally exhausted. Burned out to say the least. Since that day I became known as the “self-care” one in my friendship group who always knew when to stop and when to take a break. The reason for this is that while I learned that my chores, obligations and problems weren’t going to disappear, I, Jade, needed to be okay to deal with them in the right way. And so do you. We got this. We really do. It might be difficult for some just to take time for themselves, but it is incredible necessary. Sometimes even 20 minutes can make such a difference in your life. It is all about making time and putting in the effort for yourself, because you truly are important. You don’t even have to break the bank in order to take care of yourself. 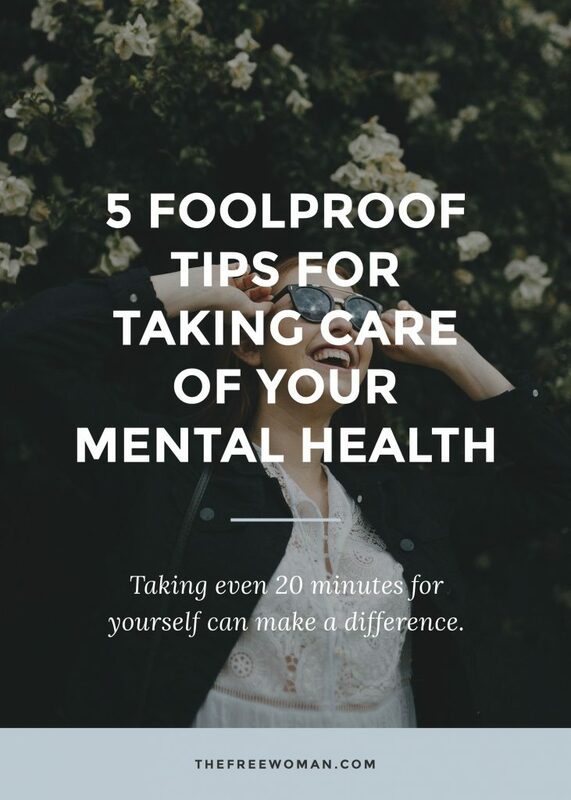 So with that in mind, here are 5 foolproof tips for taking care of our mental health. Try it, and if you like them, share it with your friends. Have you ever heard of bullet journals? They have become incredibly popular in the last year. Their mix of preciseness and freedom to choose and create whatever you want in your notebook is very helpful for managing emotions. By tracking them, and even scheduling them in, you can set yourself some much needed “me time”. It’s also really practical for writing and letting go of your feelings in a safe place. Writing it all out is very helpful for when you simply have too much to deal with. Yes, you use it to organize your life, I do, but also create sessions for yourself where you can share your feelings, plans and even track them. It’s always okay to feel whatever we are feeling. It is also always good to understand them and see how we can get through or keep them. More than just a fitness trend, try to make some moves at least a couple of times during the week. I was reluctant in the beginning, but after seeing how much my mind has changed by going on runs has been amazing. It can be anything – power yoga, barre class, running, walking around city. Your call. It has been scientifically proven that exercise creates endorphins, which keeps people happy – it’s not just a Legally Blonde quote. It really works! So if you’re feeling a little down, just go for a run or walk. Take some time to unwind and let those endorphins do their job. Often we can have a little lapse with our mental health because we get too caught up in the hustle and bustle of our lives. While it is great to be out there, it can also be kind of tiring and often leave little to no time for ourselves. This is where meditation comes in. If you’re focused on it, even 10 minutes a day can be incredibly beneficial. When was the last time you put aside quality time to spend with those who love you? We know it can easily be forgotten, especially if you live far away or if your free time just doesn’t match up. Often those people are our support system, the ones we know we can count on when things go wrong, sour and those we want to tell our greatest achievements, and share our daily and small victories. It makes such a difference when we can’t see them and it really affects our mental health. So take some hours, schedule a hangout session. Even during the week, send them a text asking how are they and remember them that you are there. It can be online or even in person. But really set a part some time for some quality time with those who love you. You matter. So take some time to do the things that you love. Period. ‘Me time’ can often be seen as a luxury for some people, but it is not. It is a necessity and something your future self will thank you for later.Whether it is an hour or even 30 minutes do whatever you want in that time and relax. Prioritising your mental health is really important. Don’t forget to take care of yourself on the way to success and happiness. 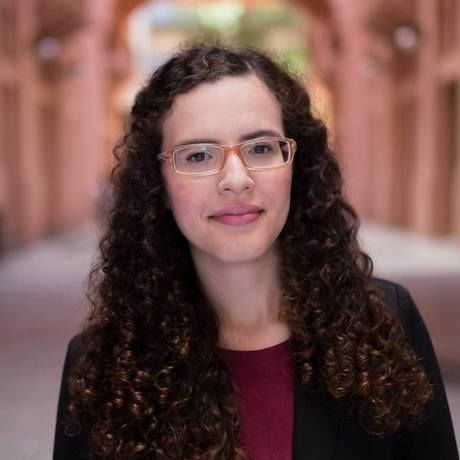 Jade Cestari is a Brazilian entrepreneur in the publishing industry and content creator. She has loved books for as long as she can remember and for the last couple years has allowed herself to fall in love with writing. You can always find her either with a good book or writing in her bullet journal.